“The drought that has overrun California — forcing severe cutbacks in water for farms, homeowners and businesses — has run up against a welcome economic resurgence that is sweeping across much of the state. Folsom, California, a Gold Rush outpost near #Sacramento, plans to add 10,200 new homes, bringing in a flood of new jobs, new business and 25,000 more people. However, the spate of construction is raising fundamental questions about just how much additional development California can accommodate. 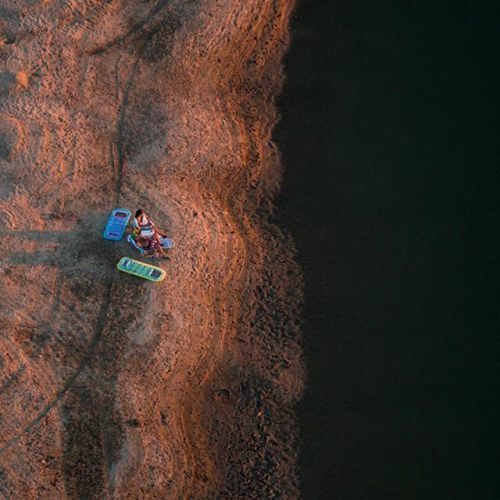 @damonwinter photographed the increased shoreline at the Folsom Lake State Recreation, pictured here, while on #nytassignment.” By nytimes on Instagram.